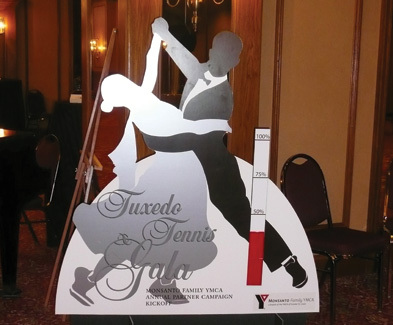 I once again had the pleasure of working with the Monsanto Family YMCA on the materials for their partner campaign and Eighth Annual Tuxedo and Tennis Gala marketing materials. 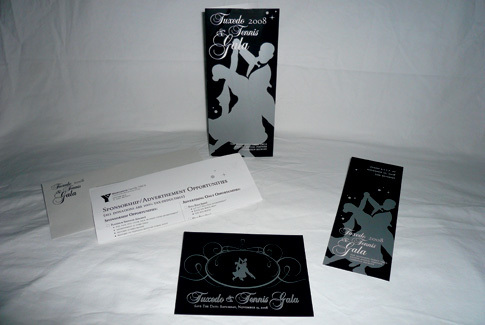 We produced a Save the Date postcard earlier in the year, then an invitation which included an RSVP card and Sponsorship insert. These pieces featured metallic silver ink and a spot varnish. book was produced, along with a 4 ft. tall cutout with a “thermometer” showing the funds raised to date. 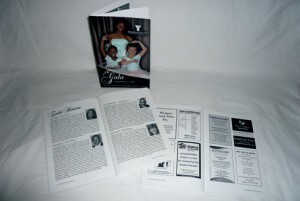 The photos below leave something to be desired, but at least you can get a feel for these pieces.